Eemsborg arrived Duluth this afternoon to load grain. Edgar B Speer arrived Two Harbors this afternoon to load iron. James R Barker arrived Duluth this afternoon for a load of coal. Edgar B Speer departed Two Harbors at 02:00 this morning. 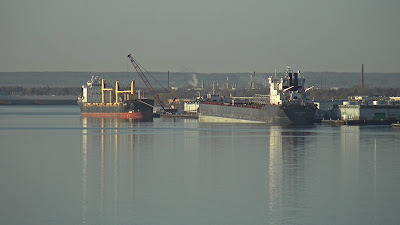 Lee A Tregurtha departed Two Harbors this morning loaded with iron. Joseph L. Block arriving/departing Two Harbors loading iron pellets. The Barker has the best horn on the Lakes and the captain likes to show it off! Federal Satsuki arrived Duluth this morning to load wheat. Every class field trip to Canal Park is an opportunity to wave to the world. Roger Blough departed Two Harbors this afternoon with a load of iron pellets. Roger Blough arrived Two Harbors this morning. Edgar B Speer arrived Duluth this evening for a load of iron. Blacky arrived Duluth this afternoon riding strong east winds. 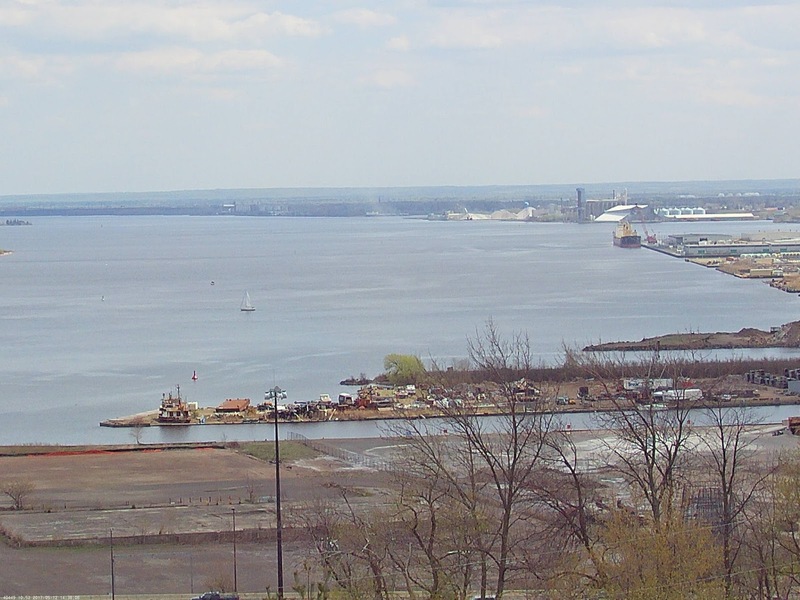 As requested, I have moved the harborcam view slightly more to the West in order to catch some of the industrial shoreline. The two Two Harbors Cams were installed this week which is a big step forward. Now modem, router, ISP, camera calibrations are remaining which shouldn't take too long. 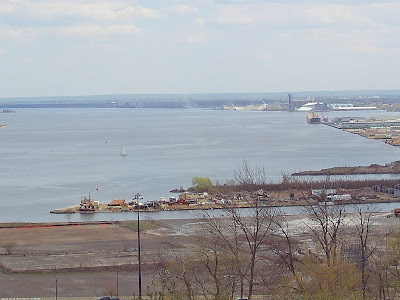 Trudy arrived Duluth early this morning to unload kaolin clay at the Port. Federal Kumano arrived Duluth this afternoon from anchor to load grain. John G Munson arrived Duluth for a load of iron. There is a download button in the upper right corning of the linked page. Caution, this is a dead give away that you may be a Boat Nerd! James R Barker arrived Duluth at 4:30 this morning to load iron. Two Harbors cams are ready to be installed, however, the weather just hasn't been good enough to crawl around on roof and mess around with wiring. Just waiting for some good weather days so the installation can be done safely by the technician team. Hoping for a May 15th startup.